Combining distinctive looks with pioneering ergonomics, Aeron performs like no other stool. 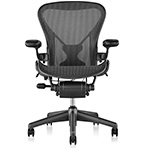 It adapts naturally providing performance for all kinds of activities, all day long. 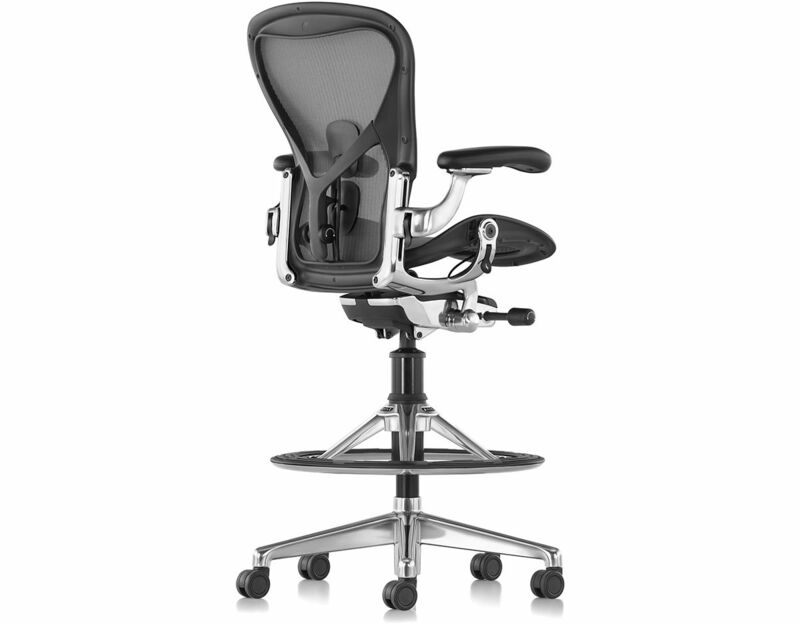 The imaginative design of the work stool matches the work chair's performance and provides the highest level of comfort, body support, and style that is widely copied but never matched. 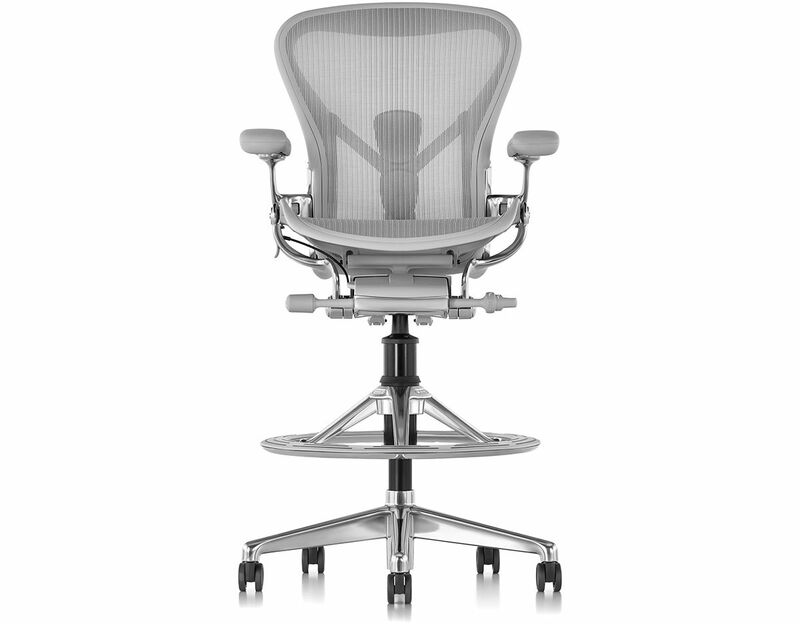 The Aeron is a work stool solution offering high-performance, long-term seating with a full complement of adjustments and innovative suspension. 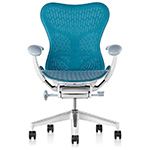 Each chair features a high and wide contoured back that takes weight off the lower spine. 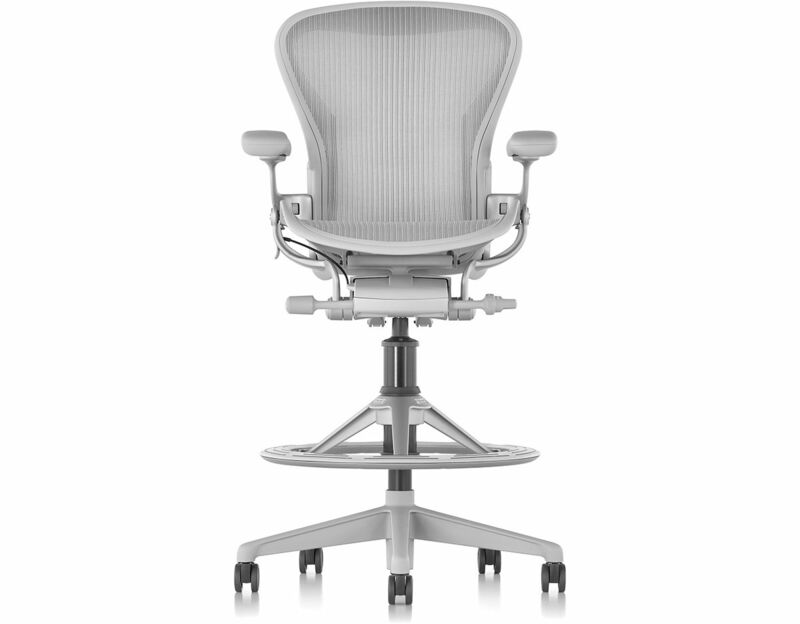 The Aeron is easy on the body with wide sloped, soft armrests, a waterfall front edge seat for reduced pressure and better circulation. 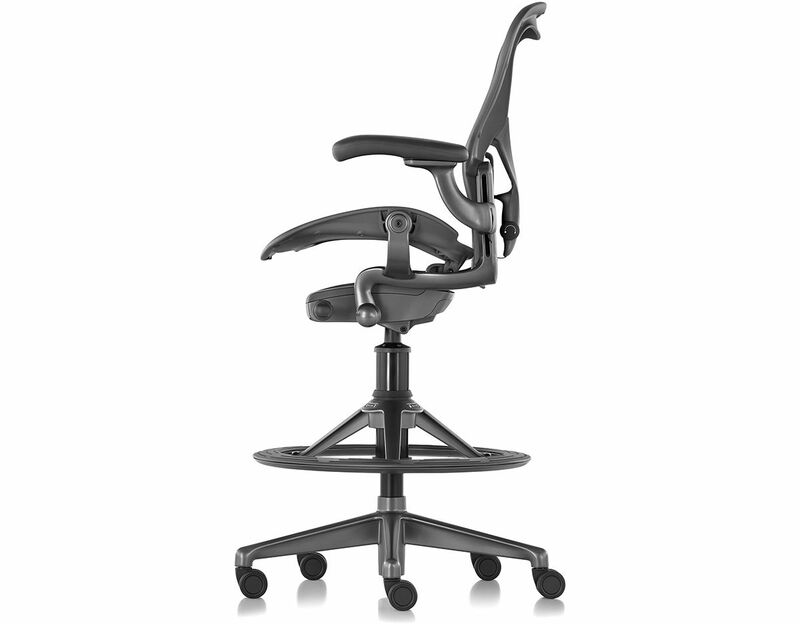 The comfortable support of the strong Pellicle suspension system is form-fitting, distributes weight evenly over the seat and back and conforms to each person's shape and minimizes pressure while allowing air to pass through to provide a cool and comfortable experience for the sitter. 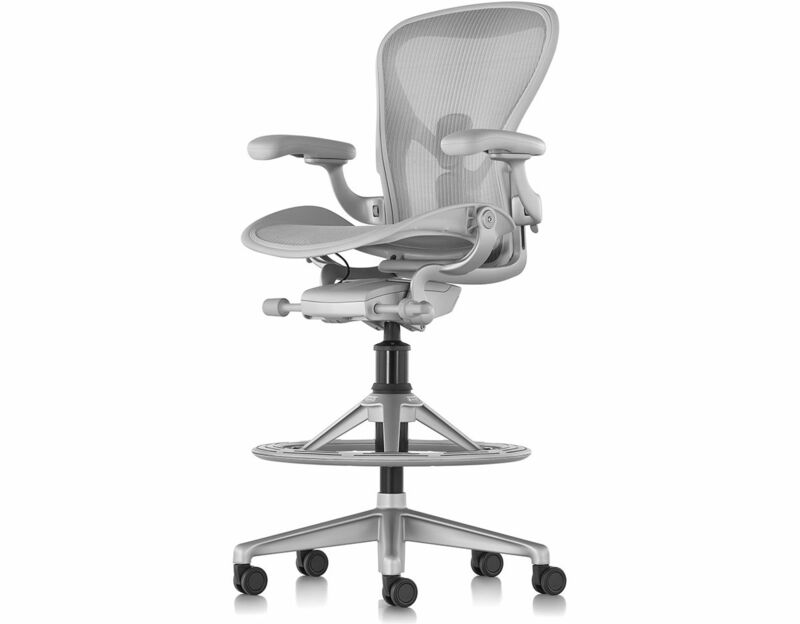 The Aeron stool also offers a height-adjustable fine-tune footring for proper foot support. The inclusive look blends both classic and contemporary influences for a unique appearance that fits in wherever it's used. 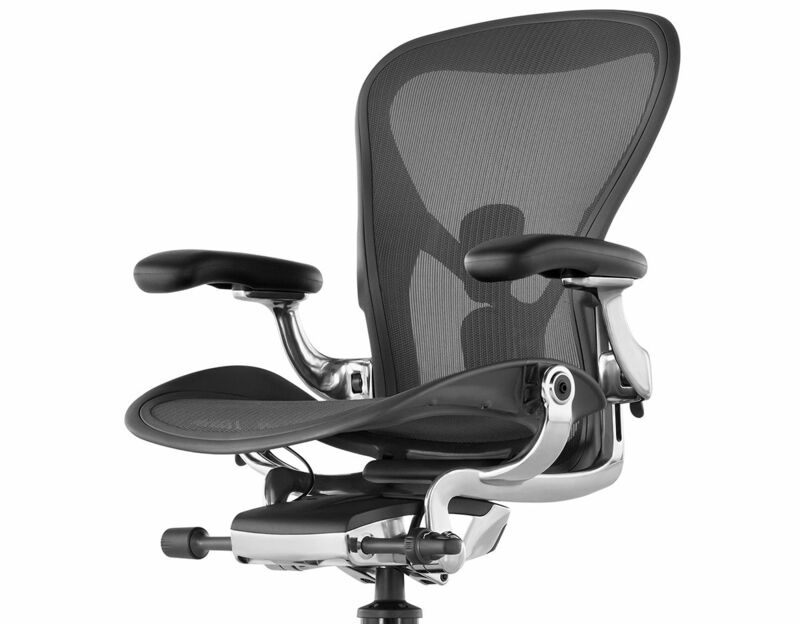 All our Aeron stools come fully loaded with tilt limiter and seat angle adjustments that allow the user to select the tilt range and seat angle along with fully adjustable arms. 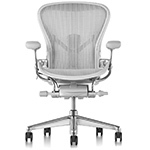 Other options include a choice of either PostureFit® customizable back-support or an adjustable lumbar support. 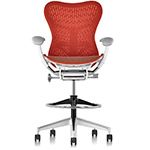 Available in two heights with your choice of frame & base colors matched with Pellicle fabric. 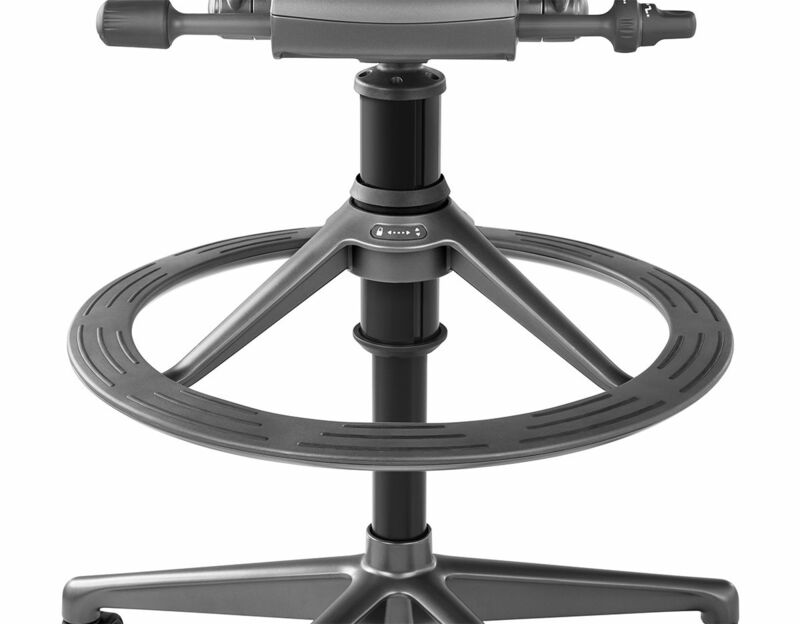 Please note: if choosing the non-upholstered arm option, graphite frame chairs will have black arms, carbon frame chairs will dark carbon arms and mineral frame chairs will have dark mineral arms. 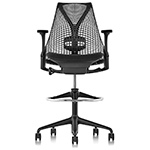 Also, graphite frame chairs come standard with graphite (8Z 23103) pellicle fabric, carbon frame chairs come standard with carbon (8Z 23102) pellicle fabric and mineral frame chairs come standard with mineral (8Z 23101) pellicle fabric. 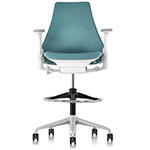 low stool: 27" w | 17" d | 45.6" - 49.25" h | seat: 24.75" - 29.25" h | 72 lbs. 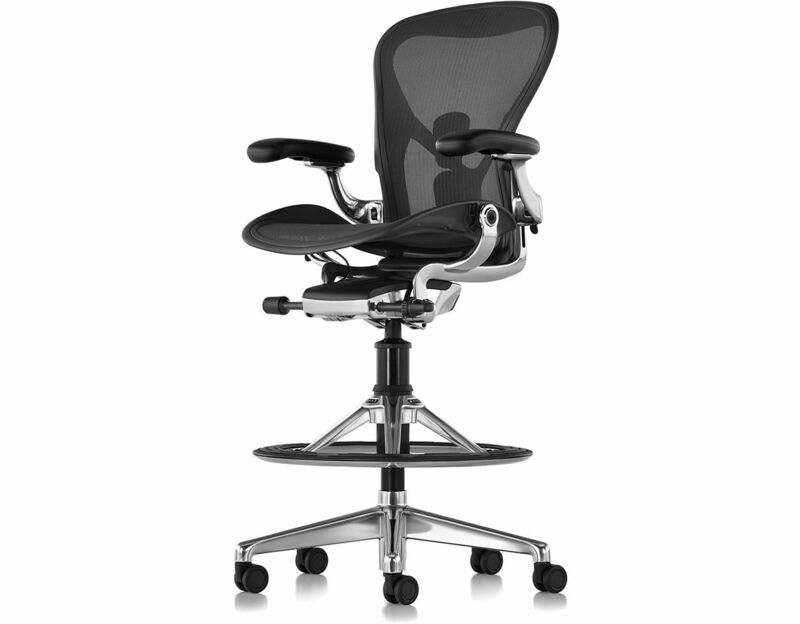 high stool: 27" w | 17" d | 49" - 54.5" h | seat: 28" - 34.25" h | 72 lbs. $1,375.00 + free threshold delivery in the continental U.S.